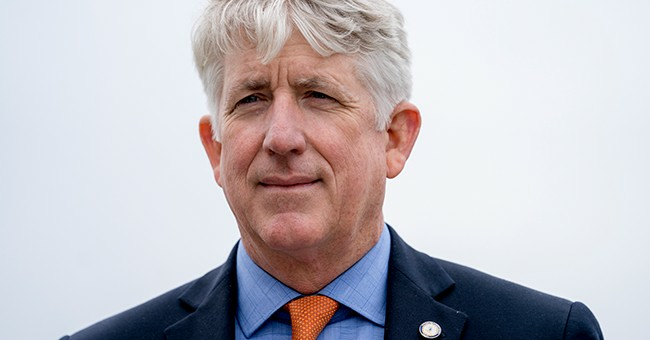 After Virginia Attorney General Mark Herring admitted Wednesday he dressed up in blackface three decades ago at a party, the New York Times covered for the Democrat by running a headline that says he simply wore "dark makeup." After outrage, the newspaper changed their headline to reflect the facts. "In 1980, when I was a 19-year-old undergraduate in college, some friends suggested we attend a party dressed like rappers we listened to at the time, like Kurtis Blow, and perform a song. It sounds ridiculous even now writing it. But because of our ignorance and glib attitudes – and because we did not have an appreciation for the experiences and perspectives of others – we dressed up and put on wigs and brown makeup. This was a onetime occurrence and I accept full responsibility for my conduct," Herring wrote in a statement released earlier today. "That conduct clearly shows that, as a young man, I had a callous and inexcusable lack of awareness and insensitivity to the pain my behavior could inflict on others. It was really a minimization of both people of color, and a minimization of a horrific history I knew well even then." "Although the shame of that moment has haunted me for decades, and though my disclosure of it now pains me immensely, what I am feeling in no way compares to the betrayal, the shock, and the deep pain that Virginians of color may be feeling. Where they have deserved to feel heard, respected, understood, and honestly represented, I fear my actions have contributed to them being forced to revisit and feel a historical pain that has never been allowed to become history," he continued. "This conduct is in no way reflective of the man I have become in the nearly 40 years since." Herring's scandal comes after Virginia Governor Ralph Northam admitted to being in a racist photo on his yearbook page, which showed a man in blackface next to a man in KKK garb. After refusing to say which man he was, Northam retracted an apology for the photo and said after studying it, he's certain he isn't in the photo after all.